According to the Environmental Defense Fund’s website, this is an organization of, “passionate, pragmatic environmental advocates who believe in prosperity and stewardship. 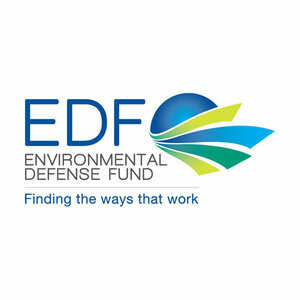 Grounded in science, [they] forge partnerships and harness the power of market incentives.” In addition to helping today’s leading companies maintain environmentally sustainable business practices, the EDF also prides itself on its ability to freely share its recommendations due to the fact that it does not accept funds from corporate partners. Some of the most notable partnerships the EDF has established to date are FedEx, Walmart, KKR and The Carlyle Group, and McDonalds. In 2004, FedEx partnered with the EDF. What resulted were the first “street-ready” hybrid trucks ever created. Today, hundreds of companies have adopted the hybrid vehicles into their corporate fleets including UPS, the U.S. Postal Service, and Coca-Cola. Since 2004, the EDF has worked with Walmart on several issues including energy efficiency, toxic chemicals, and carbon reduction. Scientists have estimated the amendments made to Walmarts carbon production has produced a similar result to removing 3.8 million cars from the roadways for one year. The EDF has partnered with several private equity firms, including KKR and The Carlyle Group, to improve environmental performance at the companies the PE firms own. According to the EDF website, “At KKR’s Dollar General, [we’ve identified] $16 million in energy savings since 2007, reducing carbon emissions 113,000 tons – the equivalent of taking over 17,000 homes off the electrical grid for a year.” Additionally, nine private equity firms will also be taking part in the EDF Climate Corps 2011. McDonald’s first solicited the help of the EDF in 1990, which lead to many amendments in more sustainable food packaging materials and eliminated more than 300 million pounds of packaging waste. Many companies today striving to make their companies more sustainable. This results, not only in a smaller environmental footprint, but in positive client reviews and cost savings.